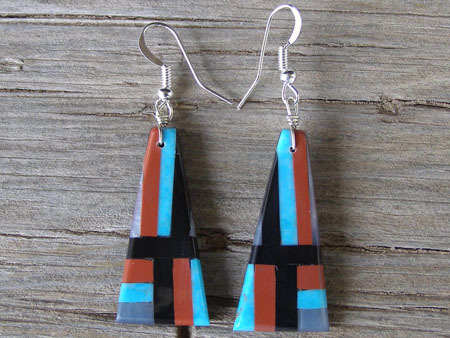 These mosaic inlay earrings by Ella Mae Garcia are made with hand-cut tiles of stabilized Kingman turquoise, stone and shell. These are built on a foundation of jet and have Sterling hooks. Dimensions of each earring: 1 3/8" x 5/8"